Creating the perfect atmosphere for weddings, parties & corporate functions. Very competitive prices! "Thank you very much to you & the rest of the quartet for playing so beautifully at Lorna & Mark's wedding"
"We were very happy with the string quartet & many people commented on how good they were." 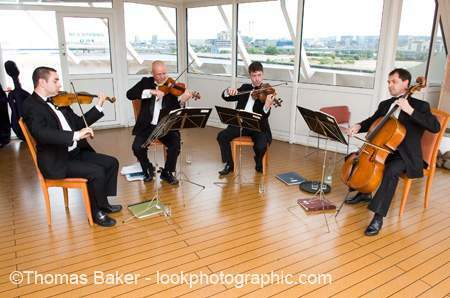 The Cavendish String Quartet is an experienced professional string quartet whose musicians play with the BBC Symphony Orchestra, Royal Philharmonic Orchestra, Bournemouth Symphony Orchestra, ENO, CBSO etc. We not only give recitals but cater for all events such as Weddings, Parties and Corporate Functions. 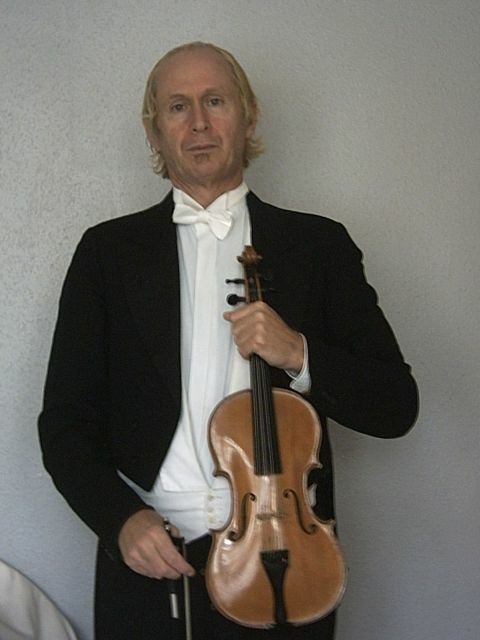 We enjoy playing all sorts of music from light classical familiar music to pop classics. The Cavendish String Quartet have played in some fabulous places including Claridges, the Savoy, Blenheim Palace, the Hilton, the Hurlingham Club, the Reform Club, Banqueting House Whitehall, Lancaster House, Mentmore Towers etc. The Quartet has also played in a number of film and TV Sessions including Steve Spielberg's DreamWorks Band of Brothers (episode 9), Warner Bros' Batman Begins (party scene), Second Nature (American Cable TV), Four Feathers, Daniel Deronda (BBC), The Way We Live Now (BBC) and most recently The Duchess featuring Keira Knightley, Little Dorrit (BBC), Dorian Gray (to be released in 2009). We arrange music. If you have something in mind please don't hesitate to ask and we will do our best to arrange it but do please give us at least one month's notice.